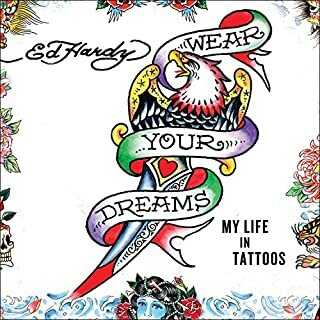 In Wear Your Dreams, Ed Hardy recounts his genesis as a tattoo artist and leader in the movement to recognize tattooing as a valid and rich art form, through to the ultimate transformation of his career into a multibillion dollar branding empire. 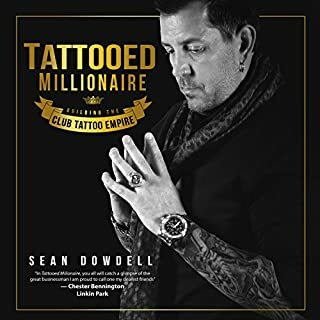 This book explains how this Godfather of Tattoos fomented the explosion of tattoo art and how his influence can be witnessed on everyone, from countless celebs to ink-adorned rockers to butterfly-branded, stroller-pushing moms. 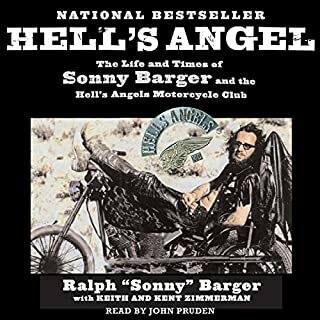 If truth is indeed stranger than fiction, then, as Shaw's friend and literary mentor Charles Bukowski once told him, much of this book would have to be lived before it could be written. 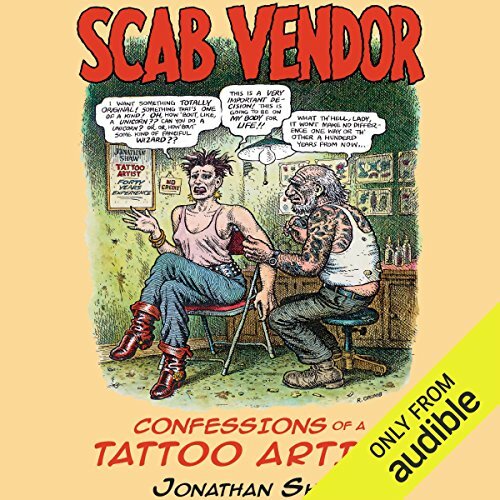 In that sense, Scab Vendor: Confessions of a Tattoo Artist is much more than a fascinating chronicle of a popular outlaw artist's creative evolution. 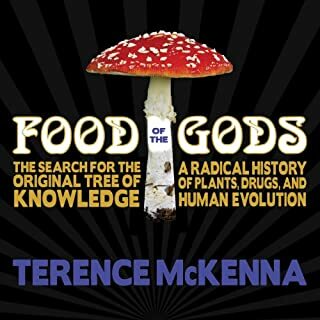 It is a multicolored, cinematic, modern-day Odyssey, written in blood, ink, and tears - a kaleidoscopic, visionary road map to the journey of the human soul. 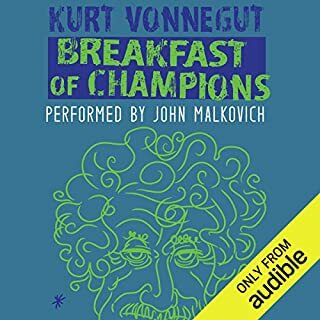 ©2017 Jonathan Shaw (P)2017 Audible, Inc. I appreciate creative verbiage but this book was obviously written under the influence of some serious drugs. That makes it hard to follow. 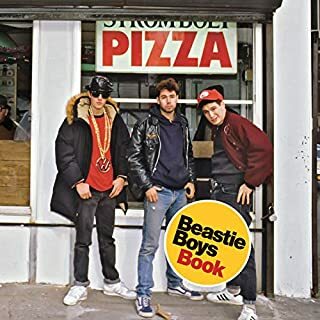 However, someone else might find this book entertaining. It wasn’t for me.